You are currently browsing the category archive for the ‘bitters’ category. This past October 4-6, 2012, the Boston Cocktail Summit celebrated the outstanding cocktail scene here in our city. I spent three days attending seminars, being all nerdy about booze and sipping quite a few delicious spirits and cocktails. 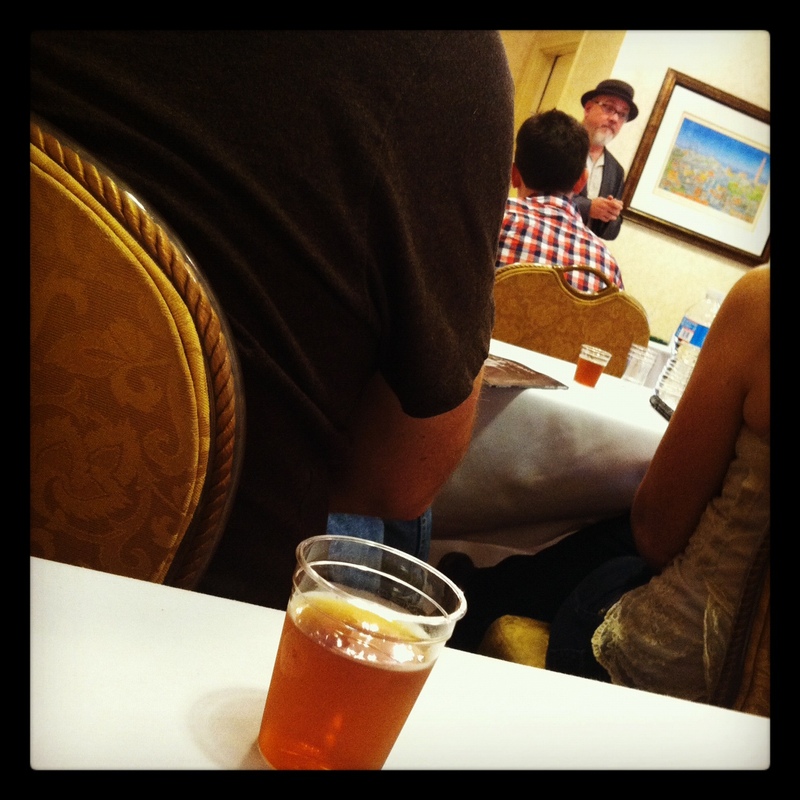 One of the many seminars I attended was “I’ll Take Manhattan: A Social History of a Classic Cocktail” with Brother Cleve. Is there a better way to spend a Saturday afternoon than sipping Manhattans while Boston cocktail legend Brother Cleve recounts the history and lasting legacy of this venerable and always delicious cocktail of cocktails? The Manhattan. First served in NYC in the early 1870s, this cocktail never seems to go out of style. Sure, the preferred whiskey, the proportions of ingredients, the vermouth and the garnish may vary depending on decade, but each version is still one hell of a cocktail. Two early bartending books– How To Mix Drinks: The Barkeeper’s Handbook by George Winter and O.H. Byron’s The Modern Bartender’s Guide: How to Mix Fancy Drinks–both published in 1884 include a recipe for a Manhattan. There were two major factors that lead to the creation of the Manhattan—the abundance of grains growing in the US and the arrival of vermouth from Italy. In the 18th-early 19th century, it was a lot easier to transport grain in a distilled, liquid form than in big bales of hay, so rye whiskey production was in full swing and was the brown liquor of choice for many Americans. And then in 1868 sweet Italian vermouth arrives in the US via Martini and Rossi. 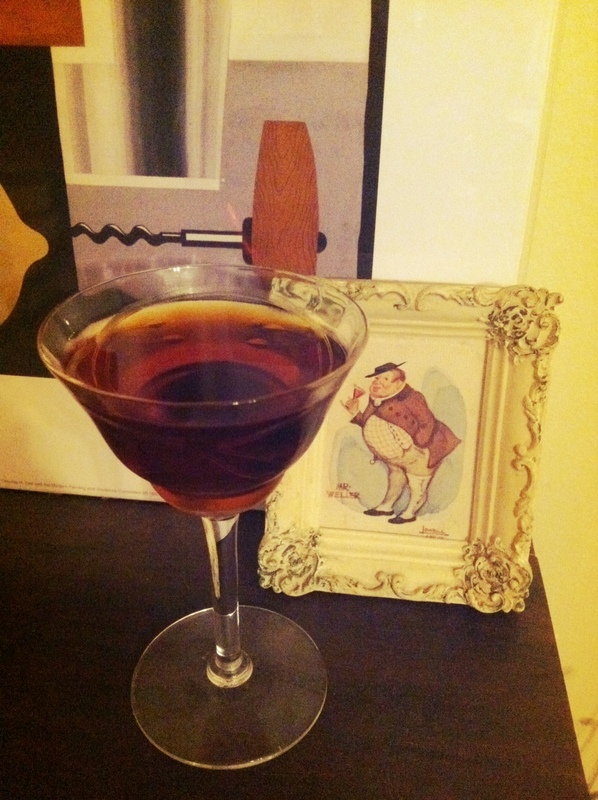 Someone puts together rye and vermouth, and the Manhattan is born. The following are the four recipes that we sampled; recipes courtesy of Brother Cleve. All cocktails are stirred with ice in a mixing glass, and strained into a chilled cocktail coupe. This equal parts version is considered the original Manhattan, and remained popular until the second decade of the 20th century. I made myself a post-WWII version to sip while writing this post. Delicious. This recent variation was created at Bourbon & Branch, San Francisco, 2007, and adds an amaro. To Brother Cleve for an entertaining and informative exploration of the Manhattan, and to a classic cocktail that inspired our learning and imbibing. Cheers!